Hilden Homes prides itself on offering home buyers the best guidance through the home buying process. Whether you intend to build with our company, or are completing due diligence, we believe you deserve the same time and attention. Home buying is a process that may take a couple weeks, or a year, or even more, depending on how quick you decide to make the process. We are here to offer our knowledge and experience for the entire duration of the process. We offer a no pressure approach, where you won’t sign a contract until you fully understand and agree to all aspects of the build. We recognize that this is likely the biggest purchase you will make, and we want you to be thrilled about your experience with Hilden. This process starts with a simple discussion. This discussion takes place with one of our experienced sales people, who know the right questions to ask. They will guide you through the information that our design team needs to create your dream home. Will the home be a permanent residence? Intended to be a cottage? What is most important in terms of layout and design for you and your family? What features and finishes would you like included? Where is your ideal location to live? It usually takes a few meetings to address all questions and design options. This is what we refer to as the Design Process. With the knowledge of what the home buyer expects, the sales person can then begin the conversation regarding the budget; whether it is a range or a set amount. We work with our clients and their budgets, to create a design and feature sheet that offers a home that the home buyers and their pocketbook will be happy with. This often requires compromises, substitutes, or design efficiencies to maintain your magic number. Our sales person will guide you through these decisions as well. Consider laminate countertops now, which you can easily upgrade to granite down the road. Consider selecting from our wide selection of laminate flooring, as opposed to hardwood floors. How about a tray ceiling in a feature room, instead of 9’ ceilings throughout? Once price, features and location have been agreed upon, Hilden presents a contract; which may be conditional or unconditional. A conditional offer is intended to essentially put a hold on the lot for your purchase. Conditions can be a range of things, such as the sale of another home. A conditional offer does require a small deposit that is fully refundable should your contract not come to fruition. If another buyer expresses interest in the same lot and would like to make an offer, you have the right to be informed to either go firm on your contract, or surrender the lot to the other buyer. An unconditional offer, also known as a firm offer, has no delays and Hilden applies for permits, and begins building as soon as necessary to meet the closing date. On a typical build, a firm offer requires 10% of the purchase price as a deposit. What happens if we don’t have property that you are interested in? This process begins with us working with you to find land you are interested in. This requires the home buyers to physically visit the lot and determine if it meets their location and lot requirements. 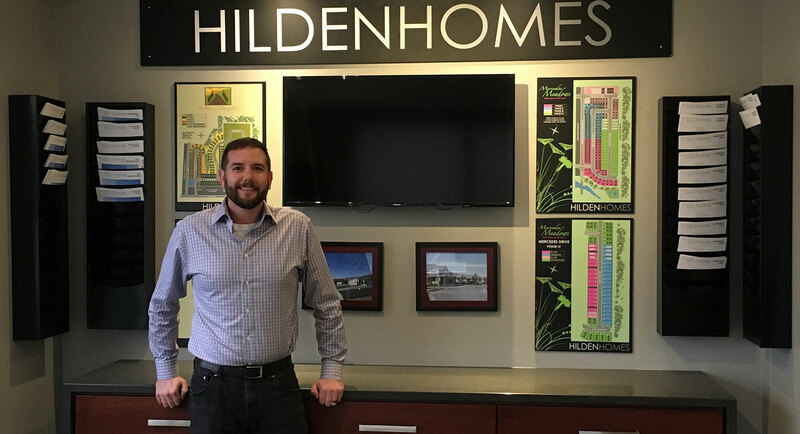 Once definite interest is established, a Hilden representative will also visit the lots and analyze for any added costs that you may not be aware of, before proceeding with a purchase. From here, home buyers have two choices; each with their own benefits. If you find a lot you would like to build on, you have the option to purchase the property and contract Hilden as the builder of your home. This option also applies to home purchasers who already own property, whether we helped locate the piece of property for you or not. If you approach us with property you own, we will still require a site visit to capture any added costs associated to the site prior to contract. In this option, you are contracting us, and therefore the purchase price is subject to the full HST amount and you apply for all of the HST rebates. With this option, you must make sure that you are covered for liability insurance and you must put a first mortgage on the property. The first mortgage is required for our security, to ensure that the property cannot be sold prior to completion of the contract. If you find a lot you would like to build on, we can purchase the property and present you a package price. In this option, you assign the HST rebates to us, and we take care of the full amount of HST. Once all of this is decided and a contract is signed, we take care of everything. All you have to do is Colour Selection Process, and sit back and watch your dreams come to life.